After being hired by Elon University last June, Rabbi Sandra Lawson has explored the meaning of inclusion on Elon's campus through her intersectional approach. Because of her experience outside of religion and her transition to becoming a spiritual leader, Lawson's self-creation of her own meaning of Judaism has influenced her approach toward Elon students, faculty and the community. SGA emphasizes patience as it continues preparing for big events. New students eagerly moved in to the Colonnades Neighborhood this morning. Starting at 7:30 a.m., orientation leaders and resident assistants welcomed the new Elon families in the neighborhood parking lot and helped with check-in, carrying boxes and pushing blue carts. The annual Colonnades Carnival yesterday drew crowds from different programs on campus and spread the message of sustainability. 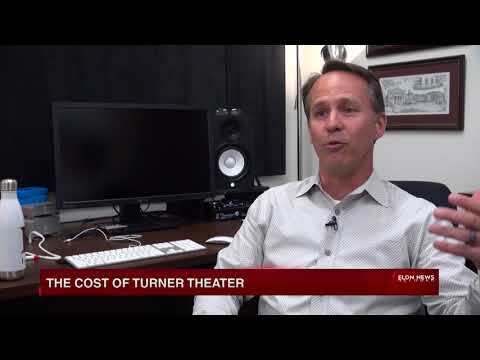 In March, Turner Theatre received a budget of $25,000 from Elon University to continue its operations, according to Bryan Baker, director of multimedia projects and theater manager. On Jan. 9, 2018, the federal district court ruled against the North Carolina legislature’s motion to redraw 13 congressional districts. This is the first time that the federal court has ruled against gerrymandering on a partisan basis. Jessica Carew, assistant professor of political science, explains the federal district court’s decision to redraw the North Carolina congressional map. In the 2016 election, 50.4 percent of students in over a thousand secondary-level institutions voted, according to the National Study of Learning, Voting and Engagement (NSLVE). It’s been more than six months since the East campus gym was demolished, but three residential halls will take its place by August 2018. While the name of the East campus residential neighborhood has not been determined, it will provide housing for 309 students — both freshmen and sophomores — according to Brad Moore, director of construction management. This year, several humanities departments saw declining enrollment trends continue, but faculty members said this has not affected their view on the value of a liberal arts education. Divya Dewan planned her sophomore year based on her freshmen year experience. She knew she wanted to live in the same Living and Learning Community (LLC), Leaders in a Global World.